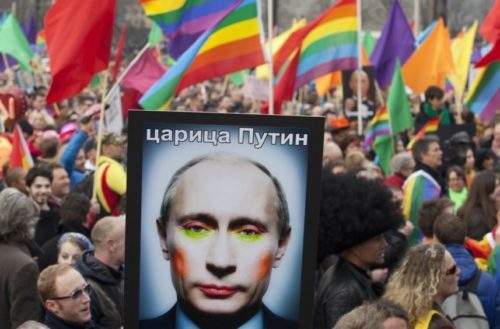 Today, the European Court of Human Rights ruled that Russia’s laws against “gay propaganda” violate international law. 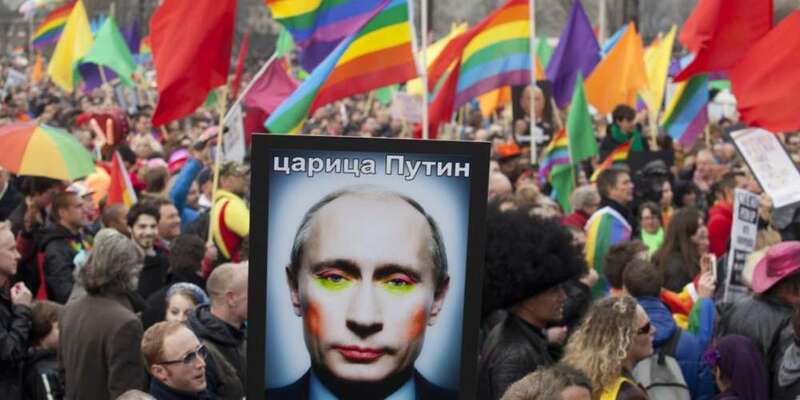 Though Russia only enacted the anti-gay laws nationwide in 2013 in preparation for the Sochi Olympics, regional versions had been in place since 2003. A court case was brought before the European Court by three Russian LGBT rights activists. The case came about after the activists were fined in 2009 and 2012 for protesting in favor of LGBT rights. Though the activists lost their appeals in Russia’s Constitutional Court, they went to the European Court, who ruled in their favor. Russia tried to prove that the ban didn’t fall afoul of the human rights convention that had been ratified by the European Union and 19 other countries, including Russia. In court, Russia’s representative claimed “gay propaganda” could “convert” children. The European Court disagreed in a nearly unanimous decision. The one hold out was Dmitry Dedov, the only Russian judge on the seven-judge panel. In his dissenting opinion, he claimed positive depictions of homosexuality has an adverse effect on children’s development and puts them at increased risk of sexual violence. These claims, however, are not backed up by studies. The European Court ruled that the Russian government must pay €49,000 (approximately $55,000) to the three activists. One of the activists, Nikolay Alekseyev, is no stranger to the Russian court system. Alekseyev has also filed a lawsuit against the Russian newspaper that blamed him for the anti-gay purges in Chechnya. Russia’s Ministry of Justice will appeal the ruling. However, though the European Court’s decision is supposed to be binding, Russia has ignored other rulings. In 2015, Vladimir Putin signed a law allowing Russia to reject rulings from the European Court of Human Rights that disagree with the Russian Constitution.